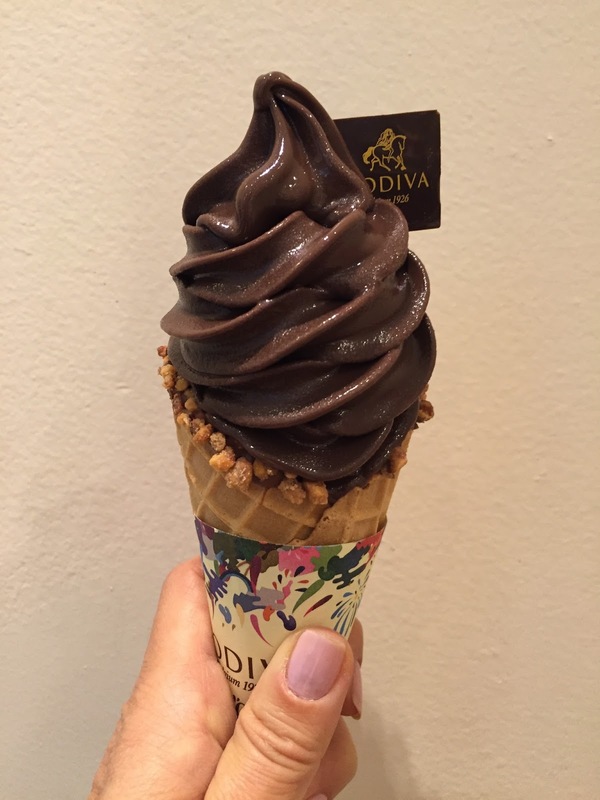 Around six months ago, my dark chocolate-loving friend Gretchen texted me about Godiva chocolate soft serve. She said that it’s rich, deep, not-to-sweet and delicious. When I was in California, we met at Godiva, and each had a cone. It’s everything she described and even better! If you‘re a fan of dark chocolate and ice cream, Godiva chocolate soft serve is the treat for you! As always, I received no compensation for endorsing this product.